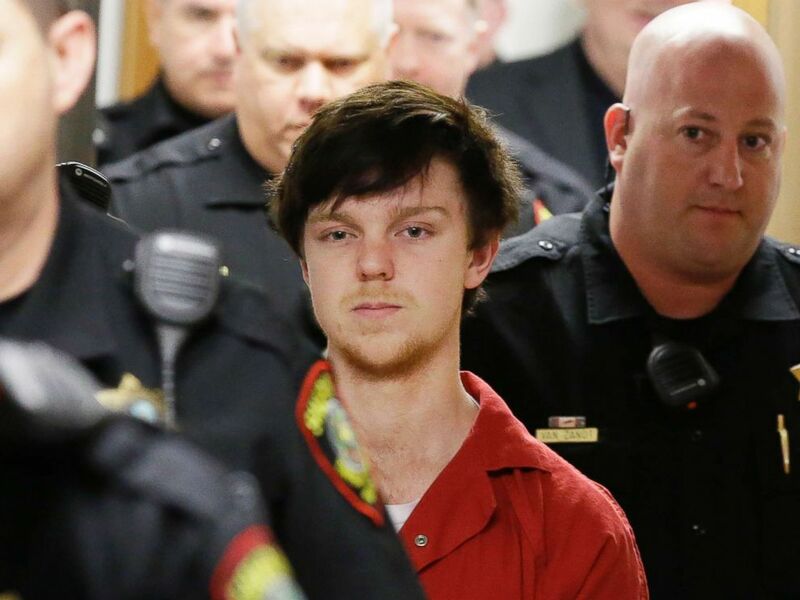 The mother of “affluenza teen” Ethan Couch was sent back to jail on Thursday after a Texas judge issued an arrest warrant indicating she tested positive for drugs, ABC affiliate WFAA reported. Add Affluenza as an interest to stay up to date on the latest Affluenza news, video, and analysis from ABC News. Tonya Couch, who is facing charges of money laundering and hindering apprehension, violated the terms of her pre-trial release when she tested positive for amphetamine/methamphetamine earlier this week, the station reported, citing court documents. Tonya Couch allegedly helped her son Ethan escape to Mexico in 2015 after he pleaded guilty in juvenile to four counts of manslaughter for fatally striking four pedestrians with a car while he was intoxicated. In this Feb. 19, 2016 file photo, Ethan Couch is led by sheriff deputies after a juvenile court for a hearing in Fort Worth, Texas. He gained national notoriety after a psychologist asserted he may have been unable to tell right from wrong because he was reared in an atmosphere of wealth and privilege. His mother allegedly spirited him out of the country after a video suggested he may have violated the terms of his 10-year probation sentence. Tonya and Ethan Couch were picked up a couple of weeks later in Puerto Vallarta. His case was transferred to adult court and he was handed a 720-day sentence, which he completed in April 2018. Tonya Couch’s trial is yet to be scheduled, according to WFAA. Tonya Couch was released from custody less than three weeks ago on after being jailed following an earlier urinalysis tested positive for drugs, the station reported. She was booked into the Tarrant County Correction Center in Fort Worth Thursday, according to the county’s website.